33 World – Renowned Music Industry Experts on One Stage! Don’t get me wrong, live music conferences are great. But I know you might not be able to take the time off of work. Or maybe, although the conference itself is affordable, the plane ticket and hotel costs make it impractical. 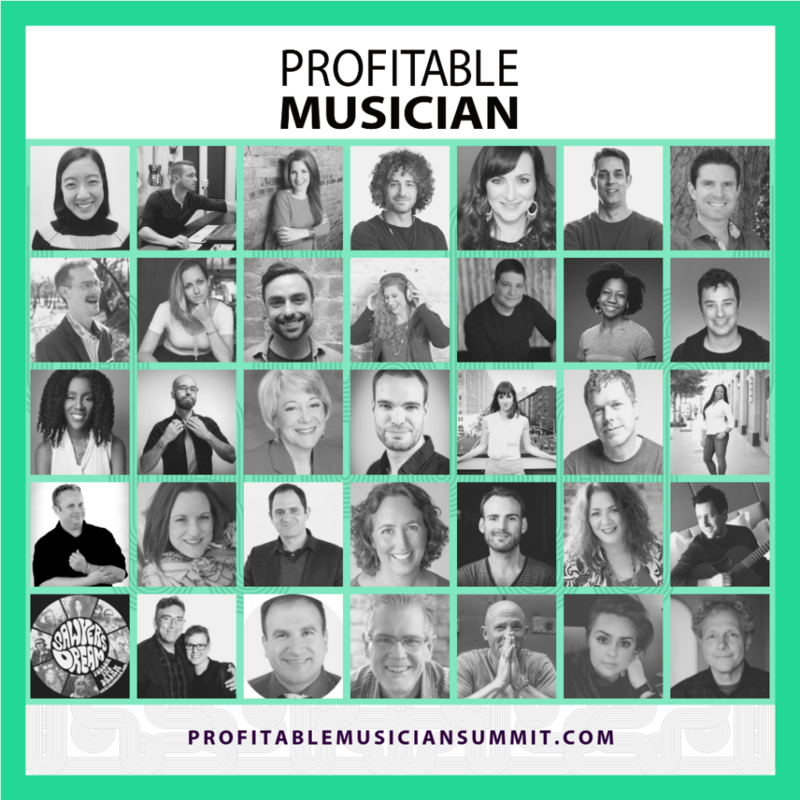 Those are just a few reasons why the Profitable Musician Online Summit was created. But in your own living room (or even your pocket), available to watch at your leisure either at home or on the go. And at an insanely affordable price. You’re gonna want to clear your calendar so you don’t miss any of the crazy value these speakers will be dishing out during their presentations from April 22 – May 1. And since it’s held online and the sessions are available for 48 hours, you don’t have to choose. You can make time for the ones that really interest you. I’m confident this will be the biggest virtual music event of 2019. So I don’t want you to miss out! I know I won’t. See you there.